Thirteenth studio record Ritual is a suprising return to form for German Neue Deutsche Harte pioneer trio Oomph!. The record unexpectedly hit the German charts which even the band's most popular records Wahrheit oder Pflicht fifteen years and GlaubeLiebeTod thirteen years ago couldn't achieve. One of the reasons for this stunning return to form are the inspired lyrics dealing with historical events but also current societal issues. Ritual is also one of the band's heaviest records in terms of musicianship and especially the energetic guitar work and charismatic vocals in combination with a powerful production sound impressive. The songwriting is also somewhat improved as numerous tracks come around with memorable melodies and efficient choruses. Ritual offers everything Oomph! has always stood for. ''Tausend Man und ein Befehl'' features powerful riffs, a great guitar solo and an anthemic chorus reminding of the band's industrial rock and metal side. ''Achtung! Achtung!'' has a much more atmospheric note with its sinister electronic vibes and flirts with darkwave sounds and gothic stylistics. The particularly sinister ''Kein Liebeslied'' is a gothic rock track that goes back to the formula of the band's most successful singles one and a half decades earlier. ''Trummerkinder'' has a similar but more provocative approach as it references military march music combined with a nursery rhyme to portray the loss of childhood in times of war. The poignant lyrics send shivers down the spine. ''Europa'' on the other side is more melodic, includes minor symphonic elements and features guest vocals by Chris Harms of German industrial rock band Lord of the Lost that is known for less serious lyrics but more spectacular live shows. The second half of the record loses some steam as the tracks need multiple spins to open up and grab the listener's attention. Some of these songs are more experimental like the heavily electronic stomper ''TRRR - FCKN - HTLR'' that criticizes the downsides of social media, the plodding and gloomy piano power ballad ''Seine Seele'' or epic bonus track ''In der Stille der Nacht'' with its unexpected extreme metal backing vocals during the anthemic chorus. Ritual manages overall to find a solid balance between a few experimental touches and classic trademarks that made the band stand out in the first place. Thanks to concise songwriting, powerful production and inspired lyrics, Ritual can be seen as a commercial return to form after the at times lackluster XXV and the intriguing but very experimental Des Wahnsinns fette Beute. Old and new fans of the band should appreciate this record alike. If you are not familiar with the band yet, you will appreciate them if you like industrial metal and gothic rock with depth. 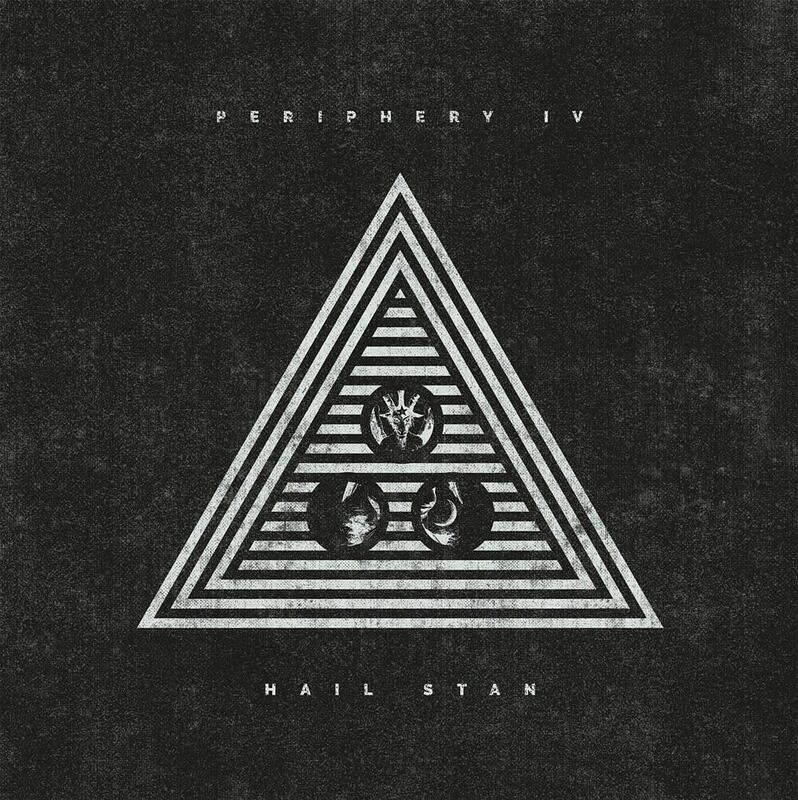 Stupidly titled Periphery IV: Hail Stan is the sixth studio album of modern progressive metal band Periphery. The American quintet combines a mixture of classic progressive metal, contemporary djent elements and metalcore vocals, riffs and breakdowns. Purists won't appreciate the record while younger listeners might appreciate its vivid genre mixture. The album starts on a particularly strong note with atmospheric, diversified and gripping epic ''Reptile''. The track is nearly seventeen minutes long and features charismatic guest vocals by SikTh's vocalist Mikee Goodman who is one of the most unusual vocalists I have ever come across with his hysterical screams, gloomy growls and hauntingly raw clean chops. It's quite a statement to start the record with such a massive track but the risk pays off since the longest tune is also the strongest on the album. The band then proceeds to offer tracks that are overall easier to digest but which still offer a balanced mixture of modern metalcore elements and technically impressive progressive djent soundscapes. The gloomy, haunting and oppressive first single ''Blood Eagle'' qualifies as another courageous choice by the band. Second single ''Garden in the Bones'' shows the band's more melodic and laid-back side but especially the explosive chorus is quite gripping. At a certain point, this record turns from a very good modern progressive record into a mellow metalcore disaster. The final three songs remind of the weakest tracks of genre colleagues like Tesseract. The melodramatic undertones are nerve-firing, the clean vocals sound sappy and the repetitive djent riffs fail to leave a deeper impression. If the band had ended the record after its sixth song, it would have been a great album but since it unfortunately features nine songs, it can only be considered slightly above average in the end. I would suggest to legally download the record's first six tracks and consider this album as an experimental extended play that should appeal to fans of modern progressive metal. Stahlmann is a Neue Deutsche Harte band in the key of Rammstein, Oomph! and Megaherz that has been around for eleven years now. The band has released six studio records in the past nine years and has played numerous festivals. The group's work ethic is admirable but the band sound isn't. Stahlmann relies on simplistic loud guitar riffs, monotonous rhythm section, limited danceable beats and stereotypical lyrics. While this mixture sounded somewhat fresh on the band's earliest albums like Stahlmann and Quecksilber, it became so predictable that it was almost unintentionally funny. Stahlmann was the kind of band people would get wasted to and sing along with during festivals but few people took the band seriously as artists. 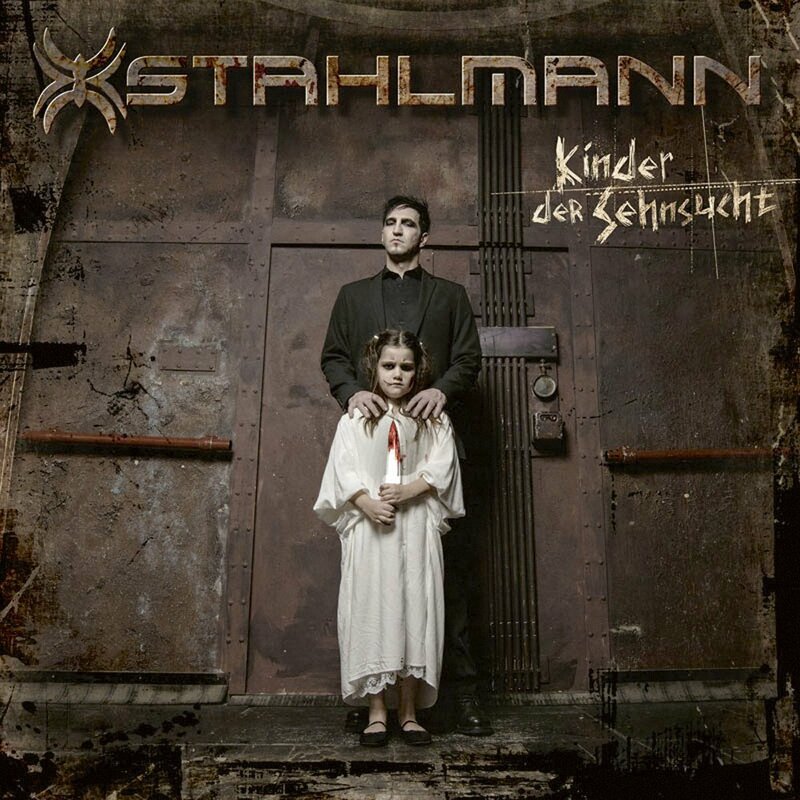 This won't change with the release of Kinder der Sehnsucht either but one has to admit that this album is Stahlmann's strongest record since Quecksilber seven years earlier. ''Die Besten'' is an emotional ode to friendship for instance that numerous people could empathize and identify with. ''Schliess deine Augen'' has a raw melancholic vibe and turns out being one of the band's most emotional tunes. ''Wenn du gehst'' is a duet with female singer Blue May Rose and offers some welcome change. ''Sinnlich'' is a solid album closer and combines dark romantic lyrics with danceable patterns and gloomy riffs that should guarantee this track to be played in gothic discotheques in and around Germany. Some of the band's usual problems remain. ''Wahrheit oder Pflicht'' sounds like an uninspired Oomph! copy without ever reaching the wit, energy and atmosphere of the genre veterans that have recently reconquered the genre throne with Ritual that led the German album charts. A title song should always define a record and ideally be its best track but ''Kinder der Sehnsucht'' is rather forgettable and fails to leave a deeper impression due to it being a Neue Deutsche Harte track by the numbers. The unnecessary remix of ''Die Besten'' as bonus track is as forgettable as all other remixes the band has included on its past records to make a short record sound longer than it actually is. Perhaps the band should take three years instead of two to record quality material and release a truly strong album consisting of twelve songs. While Kinder der Sehnsucht is the band's best effort in seven years, it will still only appeal to genre fans and make very few end of the year lists. Instead of purchasing the album, it would actually make more sense to legally download its three strongest tunes and enjoy them to the fullest. The band should also release a greatest hits record that offers some consistency or maybe a live album since the band usually sounds more charismatic and energetic on stage. Anthem is the second greatest Japanese heavy metal band right after the legendary Loudness that I would consider being pioneers on the same level as Iron Maiden, Judas Priest and Saxon. The band's run of seven records from the mid-eighties to the early nineties was quite impressive and the band even got some minor international recognition. The quartet split up for eight years in the nineties, reunited with the beginning of the new millennium and has lived up to expectations in its home country. However, the international market had forgotten about the band and the release of Nucleus is the band's attempt at conquering fans around the world. Saber Tiger have attempted a similar move with a greatest hits release four years ago that has been completely overlooked and even though Anthem cooperates with renowned label Nuclear Blast for this release, it would be a surprise if Nucleus really turned out to be a success story. Nucleus consists of twelve tracks from the band's most recent albums since the reunion that were recorded again for this occasion and a new version of classic speed metal anthem ''Venom Strike'' which is the only song from the quartet's early years. 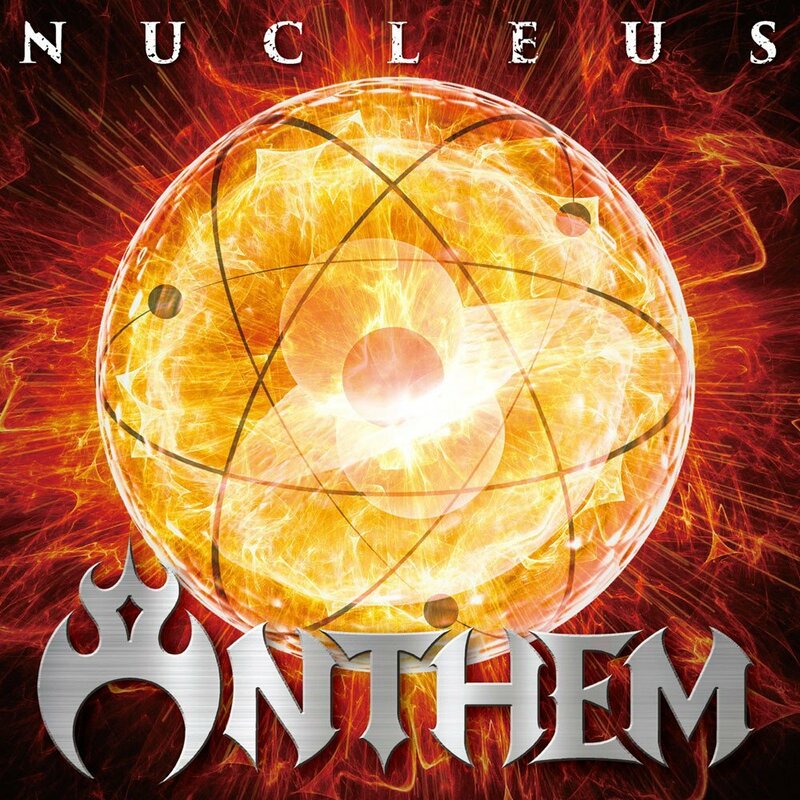 As much as I appreciate Anthem's early records and wish the band well, Nucleus is an overall unimpressive record. The song material isn't bad but simply stated heavy metal by the numbers that fails to leave a mark. The charismatic high-pitched vocals of yore have withered with age and been replaced by a lower register with some irritating effects on it. The bass guitar play that was particularly domineering and energetic in the early years is rather restrained and unimpressive on this release. The guitar play has become a little bit slower even though it is still technically appealing. The pace of the drums has also slightly diminished. The band members are obviously in their late fifties and early sixties and it's unfair to reproach them to have slowed down. But this album sounds like an old-fashioned release offered by old musicians who haven't changed their ways over the past three decades. This album comes at least a quarter of a century too late to impress anyone but faithful fans of the band and enthusiasts of traditional heavy metal music of the eighties. There are more positive examples for genre veterans who still play heavy metal but also manage to sound refreshing, inspired and energetic to remain relevant. Saber Tiger's greatest hits release featured minor progressive and doom metal elements that showed the band's nuanced soundscapes. Loudness' latest effort that also attempts to gain international success is filled with a balanced mixture of youthful energy and cool vibes. Even a Western band like Judas Priest has just released its greatest record in several decades thanks to a crisp sound, concise songwriting and a few fresh ideas. Anthem's Nucleus doesn't have any of these elements. In the end, the additional live record on this record's special edition might be Nucleus' most intriguing aspect but then again, this live record doesn't beat the phenomenal Last Anthem that showed the band leaving on a very high note in the early nineties. Anthem's Nucleus offers solid but ultimately unspectacular traditional heavy metal that will only appeal to fans of old age. It just won't happen that a teenager or young adult will listen to this album and be blown away by it. I would rather recommend the outstanding boxed set 30th Anniversary of Nexus Years Limited Collector's Box that includes the group's very good to excellent first seven records, an extraordinary live record and some bonus material. Eluveitie is a folk metal band that has had its ups and down and experiments in the early stages of its career. The horrendous debut extended play Vên with its unbalanced genre mixture and terrible production was followed by the much smoother and more structured full length effort Spirit. Slania was the band's breakthrough record with a perfect mixture of folk instruments, inspired lyrics and uplifting melodies on one side and energetic guitar riffs and harsh vocals on the other side. The band then released a lukewarm acoustic record in form of Evocation I - The Arcane Dominion just to show its other side in form of the aggressive Everything Remains as It Never Was with its domineering death and thrash metal influences. While the band's early years were lacking balance, the Swiss collective found stability earlier this decade as it went back to the formula of Slania on Helvetios and Origins. Despite numerous line-up changes that almost destroyed the band three years ago and another forgettable if slightly improved acoustic record, Ategnatos also follows the path of Slania more than a decade ago. This record isn't bad but it is simply stated Slania 4.0. If you expected something new due to the numerous new musicians that joined the band three years earlier, you've got it all wrong. 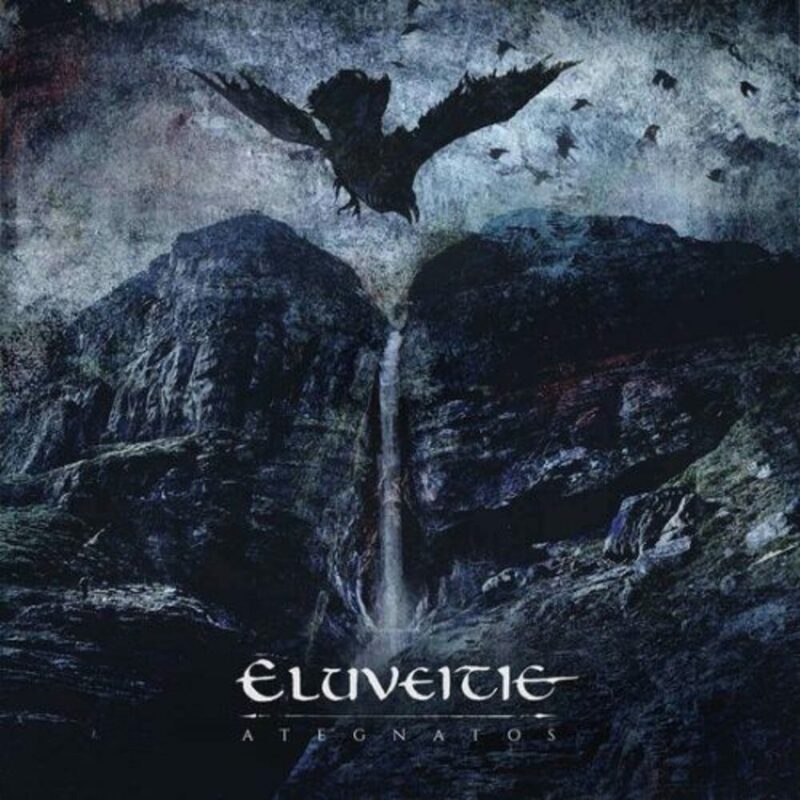 This is an Eluveitie signature release, no more, no less. Objectively speaking, the record should appeal to fans of this band. The uplifting folk melodies in ''Ambiramus'' are still beautiful and the harsher tunes like ''Threefold Death'' are scarcely used and therefore quite efficient. The record finds the perfect balance between calmer melodic tunes and more energetic raw tracks. The songs however fail to leave a deeper impression and can't compete with the memorable material on Slania eleven years earlier. This release is missing the spark of creativity. In the end, Ategnatos is a solid genre release that can be descried as routine job that fails to leave a deeper impression. I'll pass this release and would only recommend it to particularly faithful fans of the band and folk metal enthusiasts.